On Submission Of The Pan Card Application Form, It Would Generally Take Between 15-20 Working Days For The Pan Card To Be Issued.For Applicants Applying From India – Applicants Can Log On To The Passport India Website And Register As A New User, If Not Already Registered On The Site. 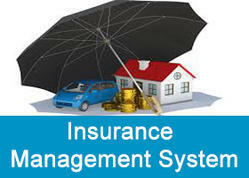 We also arrange for insurance on client's behalf to save time & cost. This service takes care of any accidental mishap of goods while transit. This keeps our clients more stress-free and hence we strive towards providing complete customer satisfaction. We are committed to make this event an easy and comfortable experience. Because STAR HEALTH AND ALLIED INSURANCE, is a specialist in Health Insurance and provides quality service at the best rates. As the country's first stand alone health insurance company in India, it is committed to the service of the insured. 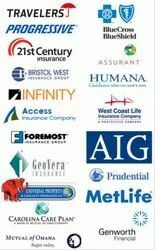 There is no Third Party Administrator involved in claims settlement, which means better service, in shorter time and no hassles. Leveraging on our vast industry experience, we are providing Auto Insurance Services to our clients for the security of vehicles against damages caused by natural and man-made calamities, including acts of terrorism. Our services are available as per the requirement of the client. Apart from being a sucessful Clearing, Forwarding, Transport agents, we fulfill the insurance needs as well, We believe in giving full protection to your goods.